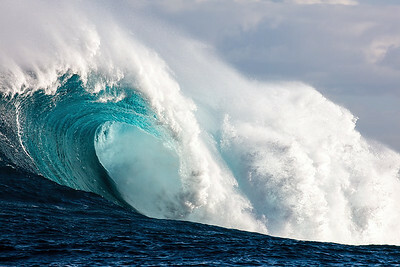 Otherwise known as Jaws, our famous north shore big wave surfing spot. All images are taken from the water. 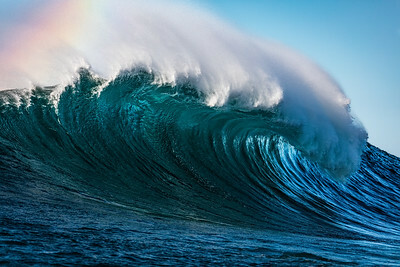 A beautiful unridden barrel in the early am at Jaws. 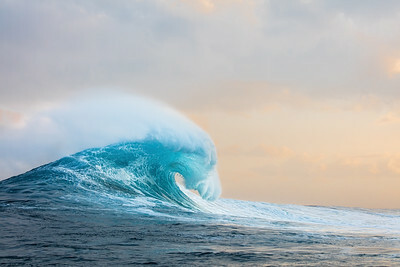 My favorite image from Pe'ahi. 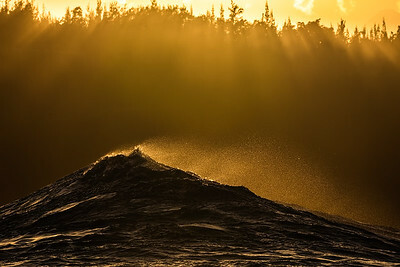 Shot the evening before the 2016 Pe'ahi Challenge right at sunset with the mist catching nice strong evening light. This one won an online National Geographic contest. 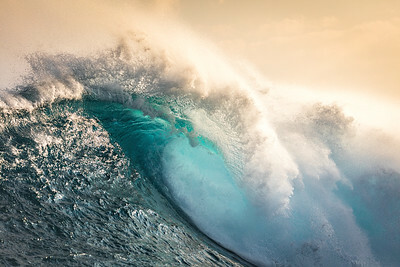 From the judge: "I see this and I think, “Hope that surfer is ok!” I feel so much anticipation in this image, the crash of the wave and the gravity defying surf board, both elements that lead you to create the before and after visuals in your mind. Really nice." 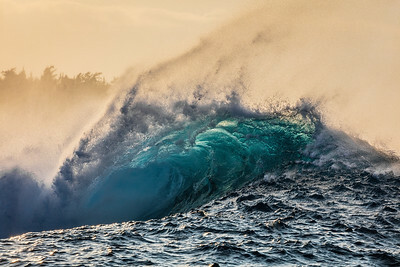 This is early morning Pe'ahi, when the sun rises and the fortunate few on the water get to experience mother nature in all of her beautiful fury. 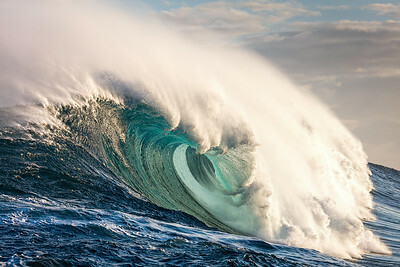 Waves of 80 feet or more rise and fall and crash and boom, while the bravest of surfers push their luck again and again. 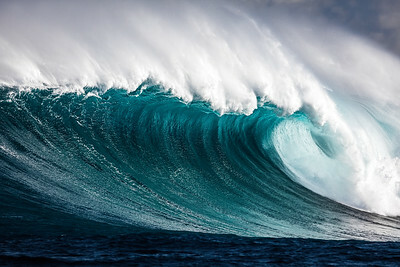 The waves destroy jet skis and surfboards and can certainly claim lives with violent focus. At the same time it is astonishingly beautiful, the sights and sounds and smell is not soon forgotten. 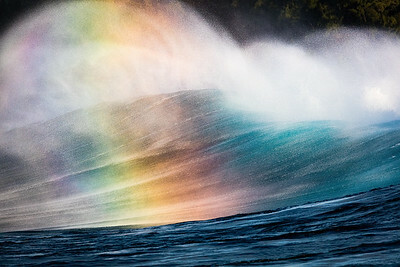 The preferable light breezes at Pe'ahi push the mist backwards over the wave as it crashes, forming afternoon rainbows with the sun dropping behind us in the channel. 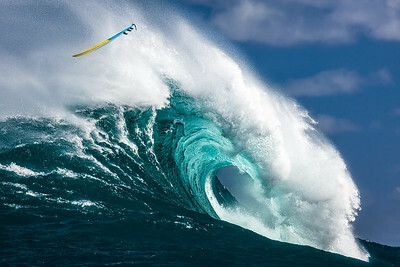 I'd stay out on the water at Jaws until it was pitch black if we could. Such an incredible place, and always has something new and different to show us. One of the perks of Jaws (as a photographer and observer) is that for some reason the light is almost ALWAYS night early and late. Makes for some interesting happenings. From the 2016 Pe'ahi Challange. 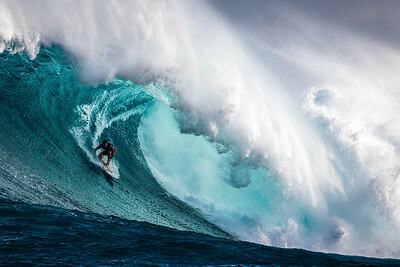 It takes a healthy dose of both skill and courage to be in the shadows at Pe'ahi. 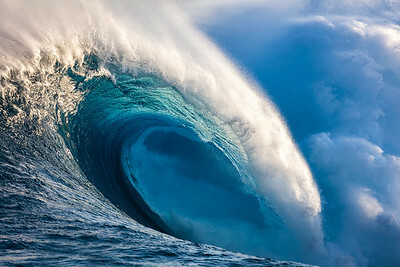 Tens of thousands of gallons overhead, wanting nothing more than total destruction. 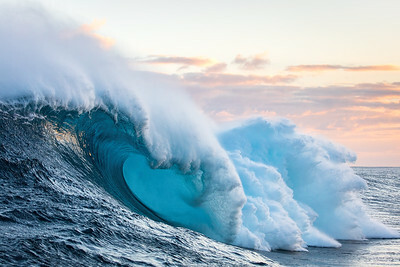 Aaron Gold (pictured here) nearly died on a wave at Cloudbreak six months before this was taken. 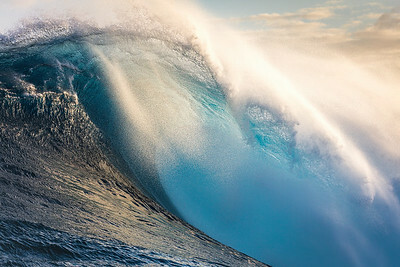 Six months before that, he rode what some folks say is the biggest wave ever paddled into. 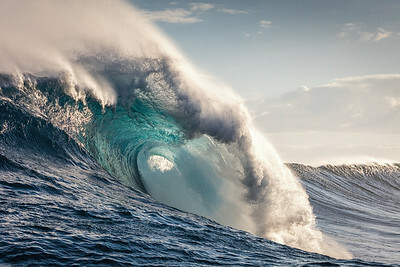 I was fortunate to be on the water for that one as well and have images of it. Always a pleasure to watch him surf! 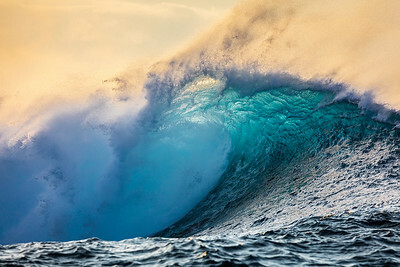 A long, unridden wall of water from December 2016. 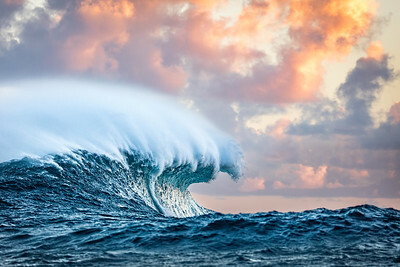 Sunrise the morning of the Pe'ahi Challenge at Jaws. 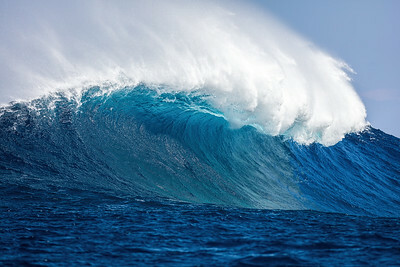 This was one of the first waves ridden, I believe it's Albee Layer hidden behind the swell between us and the boat.